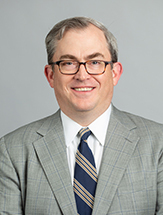 Robbie Ashe is a partner at Bondurant Mixson where he represents both plaintiffs and defendants in state and federal courts. He focuses on issues involving politics, governments and governmental authorities throughout Georgia, particularly the City of Atlanta, metro Atlanta governments and the Georgia General Assembly. In 2010, Robbie was appointed by the City of Atlanta to serve on the Board of Directors for the Metropolitan Atlanta Rapid Transit Authority (MARTA). Robbie was elected by his colleagues to serve as the Chairman of the Board for 2014, 2015, 2016, 2017 and 2018, and currently serves as the Treasurer. Negotiating transfers of government assets worth tens of millions of dollars. government ethics and campaign finance issues. Planning and executing multi-year, public communications and advocacy campaigns resulting in multiple successful multi-billion dollar sales tax referenda. Negotiating consolidation of Atlanta’s court system. Advising the election and re-election campaigns of the three most recent Atlanta mayors, several members of the Atlanta City Council and the Atlanta Public School Board, and numerous Georgia General Assembly members. Defended Mayor Keisha Lance Bottoms' victory throughout recount challenge. Successfully defended a $250 million food and beverage concessions contract award through an administrative protest, an administrative appeal, and multiple rounds of litigation. Won an extraordinary motion for a new trial on behalf of a bank seeking to enforce a guaranty. Successfully represented commercial landlord in multi-day arbitration against tenant-in-possession regarding lease performance, including receiving attorneys’ fees. Successfully represented both employers and former employees in employment covenant litigation, including enforcement and invalidation of non-competes and non-solicitation covenants. Secured a confidential settlement representing TASER International, Inc. and 40 of its largest shareholders in a lawsuit against 8 Wall Street firms alleging RICO and securities violations arising out of the sale of securities. Served as plaintiffs’ counsel in a class action breach of contract/RICO case against one of the nation’s largest shipping companies. The lawsuit alleged that the company intentionally overcharged its customers by imposing residential delivery charges for deliveries to non-residential addresses such as courthouses, government buildings and banks. The case was recently settled for $21.5 million. Won trial defending an international hotel company against charges of theft of government property. Robbie Ashe Interviewed on Georgia Public Broadcasting "Lawmakers"
Robbie Ashe Selected by the Fulton County Daily Report as One of Forty Georgia Lawyers Under Forty Who are "On The Rise"